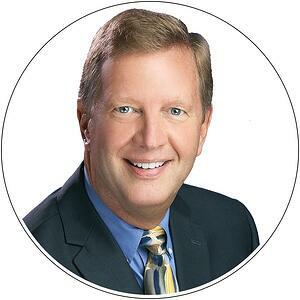 Norm Thomas is a personable, seasoned executive with over 25 years of recognized leadership experience in business development, channel-building, professional services and product management with a proven record of international project and operational administration. He brings demonstrated success in developing business strategy and acquisitions (M&A), senior-level consulting in bringing products to market, and improved efficiencies and establishing key operating indicators in technology-reliant organizations. As a CPA, his strong pedigree in design and deployment of financial reporting systems, customer relationship management (CRM), enterprise resource planning (ERP) and profit and loss reporting (P&L) comes with an abundance of international experience, and strong understanding of various markets throughout North America, Europe and Asia. Norm is a resourceful executive skilled at strategic planning, setting and exceeding goals, and organizational leadership. Currently, Norm is Senior Vice President for Corporate Development at Litéra Corporation, managing product placement strategy and market development for new industries, joint ventures and partner relationships. Earlier at Litéra, he served as chief commercial officer leading all sales and marketing teams globally and building successful partner channel relationships. Prior to joining Litéra, Norm enjoyed 14 years with Microsoft as the director of industry market development for its worldwide legal and professional services sector, focusing on customer engagement and channel-building in construction, staffing, legal, accounting and consulting enterprises globally. He also created Microsoft’s global operations for enterprise sales tools and training, and led worldwide operations for Microsoft Consulting Services. Before his tenure at Microsoft, Norm was a client partner for Cambridge Technology Partners in enterprise-scale project management and client development, having sold his own company, Softec Solutions, Inc., a systems integrator for small- and medium-sized manufacturing companies to establish Cambridge Tech’s Northwest presence. Before founding Softec, Norm was IT manager for Pacific Northern Oil, listed at the time by Inc. Magazine as North America’s 31st-fastest growing company. In addition to his executive career, Norm serves on the advisory board and board of directors for Rational Games, Inc., an international nonprofit that teaches negotiation and conflict-resolution to corporations, NGOs and nonprofits globally. He recently co-led negotiation instruction for 40 Korean diplomat trainees in Seoul. Rational Games also develops and distributes “Negotiate!” — an interactive mobile app coaching the complex art of negotiation through business gaming simulations. Norm has edited several business books including the recently published "Preventing Litigation: An Early Warning System to Get Big Value Out of Big Data," which describes the use of deep learning, neural networks and artificial intelligence to reduce lawsuit liabilities for business. He has spoken before large audiences and acted as panelist and moderator for a variety of events and venues designed to elevate the adoption of technology for accelerating revenues and streamlining business processes. Norm has studied at Oxford University, the University of California, Berkeley, and Japan’s Institute for International Studies and Training (Boeki Kenshu Center). As a certified public accountant in Washington State, he holds a Bachelor of Science in Business Administration & Accounting from the University of Southern California and an MBA in International Finance & Economics from the University of Washington. He is a member of American MENSA, the American Institute of Certified Public Accountants and a recipient of Microsoft’s Pioneer Leadership Award.